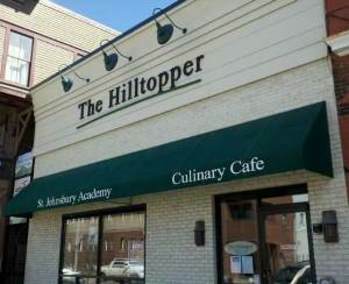 The Hilltopper Restaurant is a dining establishment owned and operated by St. Johnsbury Academy. It serves as a professionally run "working classroom" for students in culinary arts classes. Students are instructed in meal preparation, hosting and wait-staff duties, procurement, food safety and the financial management of a business establishment. Students in the first track of the culinary arts curriculum learn the fundamentals of the chemistry of cooking and baking, basic food prep, making soups and sauces and operating a culinary bake shop and catering kitchen. 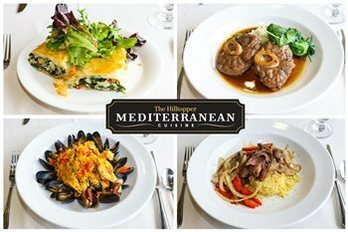 In the second track, students build on their skills and spend the entire year working in The Hilltopper Restaurant, learning all aspects of restaurant management and the culinary skills necessary to work in a food-service environment. Students, overseen and taught by culinary professionals, are required to be trained in the American Culinary Federation approved ServSafe program. The St. Johnsbury Academy culinary program is one of 140 secondary and vocation programs thoughout the United States accredited by the American Culinary Federation. HOURS: Tuesdays through Thursdays, 11:15 a.m. to 12:45 p.m. The menu items are innovative, challenging and, more to the point, absolutely delicious. The Hilltopper Restaurant has been added to your trip.